Catchers have a special place within the realm of Major League Baseball, whether it is the famous quips of Yogi Berra or the sweet swing of Johnny Bench. They not only have to navigate their team’s pitching on a nightly basis but also figure out a way to get on base themselves, and all of the intricacies involved with the position make it one of the most important, if not the most important, roles on a team. Throughout the decades there have been many great catchers to have played the game, and this article will delve into a handful of them. Mike Piazza will easily go down as the best power hitting catcher of the modern era, and was arguably one of the greatest power hitting catchers of all time as well. Piazza hit 427 home runs over the course of his career along with driving in 1,335 runs to go with a dazzling .308 average as well. Mike was selected to the All Star game 12 times over his 16 year career along with winning the Silver Slugger award on 10 different occasions as well. Piazza’s memorabilia value should continue to climb as the years progress and is already highly popular among many fans of the game today. 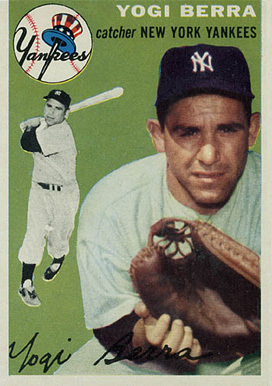 Berra is not only one of the most well-known New York Yankees players of all time but also one of the best catchers of all time as well. More than that, he may well be known for his famous quips, such as “I really didn’t say everything I said.” In nearly 20 years in Major League Baseball Berra put up many impressive numbers, including over 350 home runs, 1,400 RBIs, and a .285 average as well. Yogi was selected to the All Star game 18 times, and won the AL MVP award in 1951, 1954, and 1955. 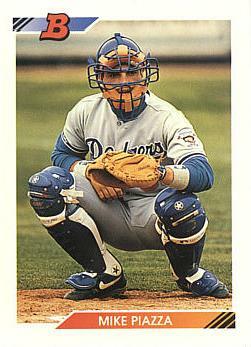 Bench was the quintessential catcher who could practically do it all, whether it was hitting or playing defense. In 17 seasons Bench hit .267 with nearly 400 home runs and over 1,300 RBIs as well. 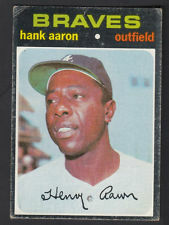 He was selected to 14 All Star games and earned 10 Gold Gloves along with winning the NL MVP award in 1970 and 1972. His memorabilia continues to be among the mostly highly valued among catchers with Yogi Berra. 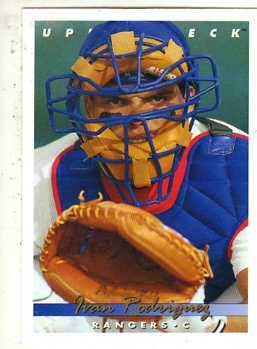 If Piazza was one of the best power hitting catchers of the modern era, Ivan Rodriguez will more than likely go down as one of the greatest all-around catchers during this time period. 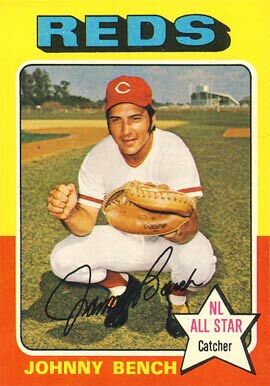 Similar to Johnny Bench Rodriguez could do it all, hitting nearly .300 with 2,844 hits, over 300 home runs, and 1,332 RBIs as well. He was selected to 14 All Star games over his career and won 13 Gold Gloves along with seven Silver Slugger awards and a lone MVP award in 1999. Ivan should easily make it into the Hall of Fame on the first ballot, and will likely continue to rise in popularity among both memorabilia collectors and fans alike as the years progress. What makes an outfielder one of the best in Major League Baseball of all time? Is it the ability to hit for power? What about having a great glove? In reality it is a combination of both offensive and defensive skill sets that truly sets certain outfielders apart from others, and what makes their memorabilia so valuable in the eyes of baseball collectors. What follows are just a few of those special outfielders who changed the way we think about the game. 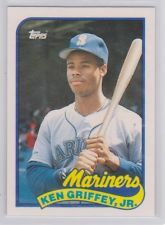 The sweet swinging Ken Griffey Jr. may likely be among the few outfielders of the modern era to not be linked to steroids and make it into the Hall of Fame on his first ballot, which can only mean his memorabilia will become more collectible over time. Griffey Jr. was not only an amazing hitter but also one of the best defensive center fielders the game has ever seen. He hit 630 home runs for his career along with winning 10 Gold Gloves, a feat that may not be surpassed ever again. Robinson was known for his bat more than anything else, and boy did he have a great bat. 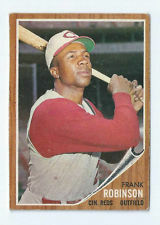 Frank hit almost .300 for his career along with nearly 600 home runs and 3,000 hits, a true mark of a great hitter. He is still the only player to win an MVP award in both leagues, and truly defined an era in baseball alongside Mickey Mantle. Another person who was known to be pretty good with the bat was Hank Aaron, who some say is still the all-time home run king given Barry Bonds’ links to performance enhancing drugs. Over his 21 year career Aaron hit 755 home runs, but the more impressive feat was the fact that he averaged over .300 with nearly 3,800 hits to his credit as well. It is truly difficult finding someone who could consistently hit for both power and average over such a long period of time, and that is what makes Aaron’s memorabilia so valuable these days. 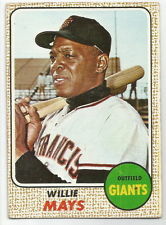 Willie Mays is arguably the greatest player to have ever put on a baseball glove, period. He had not only an outstanding bat that saw him hit over .300 for his career along with over 3,200 hits and 650 home runs, but as a precursor to Griffey Jr. won a dozen Gold Gloves and was selected to the All Star game for nearly a quarter of a century, which goes to show that he was a consistently great player and deserving of the Hall of Fame. 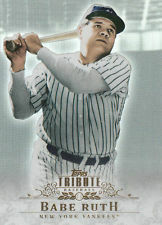 We can’t forget about one of the most iconic baseball players of all time in Babe Ruth, right? Ruth’s numbers speak for themselves, with a .342 average, 714 home runs, and nearly 2,900 hits over a 22 year career in the Major Leagues. Let us not forget that he wasn’t too shabby of a pitcher either, going 94-46 with a 2.28 ERA, which truly makes him one of the more unique players to collect memorabilia for in this day in age.